Twitter has hired a user interface designer who used to work for Apple according to a report in Upload VR. Alessandro Sabatelli has joined Twitter as the Director of AR and VR. Sabatelli was the CEO of a company he founded known as Ixomoxi, which created an augmented reality app for music festivals – called Lucy – targeted at millennials. Twitter has acquired IXOMOXI & today is my first day as Director of AR & VR!! So excited to get to work with @qevni and the Cortex team! Sabatelli joins a team exploring new ways to leverage artificial intelligence and machine learning capabilities to bring about disruptive transformations in Twitter. The team is known as Cortex. Cortex is aiming at creating the most capable artificial intelligence platform in the world. Top leadership at Cortex welcomed Sabatelli to the team.
.@s4l4x Welcome to the Cortex team! Very excited about what we will be building together! Cortex is hiring and has job openings for a data scientist, computer graphics and deep learning. 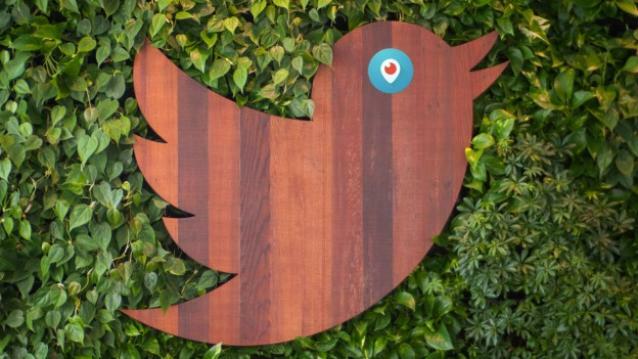 The hiring of a VR and AR Director comes close on the heels of Twitter acquiring Magic Pony. Magic Pony has worked with machine learning and artificial intelligence to boost the quality of videos and images. Magic Pony technology is being used by Twitter to automatically enhance images and videos shared on Twitter. A focus on AR and VR is the latest move in a series of measures aimed at revitalising the social network. How exactly VR and AR will fit in is unknown, and open for speculation. Machine learning and augmented reality together could be used to introduce some features similar to Snapchat in Periscope. This can be the Face Swap Snapchat feature, or something like lenses. Sabatelli’s Lucy app that adds filters in realtime seems to point towards similar features coming to Periscope. Periscope could up to supporting 360 degree live virtual reality videos, and Magic Pony’s image processing capabilities could be used for these broadcasts as well. Hopefully, Twitter will not restrict the VR to 140 degrees, and then remove the restrictions at a later date. Augmented Reality can have some interesting applications when combined with geolocation and geotagging. Sabatelli has worked with a location based notification system for Apple, and he could work on something similar for Twitter too. Another possibility is the ability to geotag Tweets and Hashtags. Say when visiting a new place, or attending a conference, augmented reality can be used to provide contextual information sourced from Twitter feeds. Sabatelli could also give users the ability to apply stickers anywhere in the real world. What do you think will be good VR and AR applications for Twitter? Let us know in the comments section below.